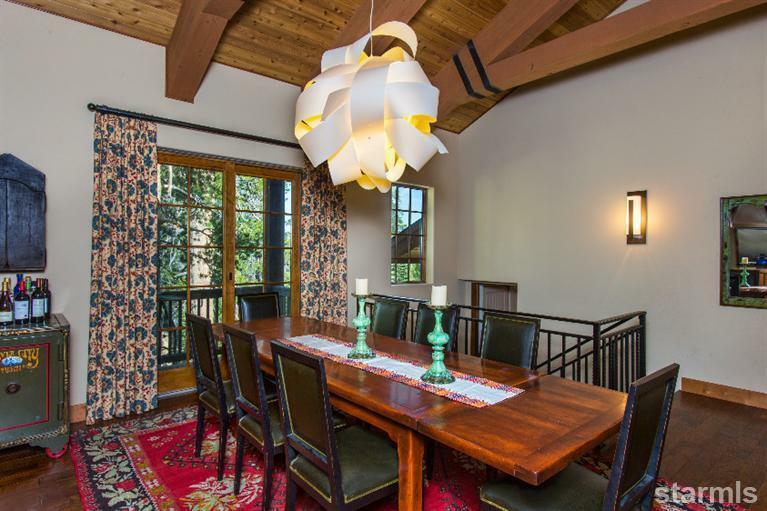 Beautiful well priced home located in the ski-in ski-out Palisades subdivision. Enjoy skiing Kirkwood without ever having to use your car once you have arrived for your visit. Cross the street, fasten your bindings and head off to the Mountain. Ski back to your house from Timber Creek, Solitude or Cornice lifts. 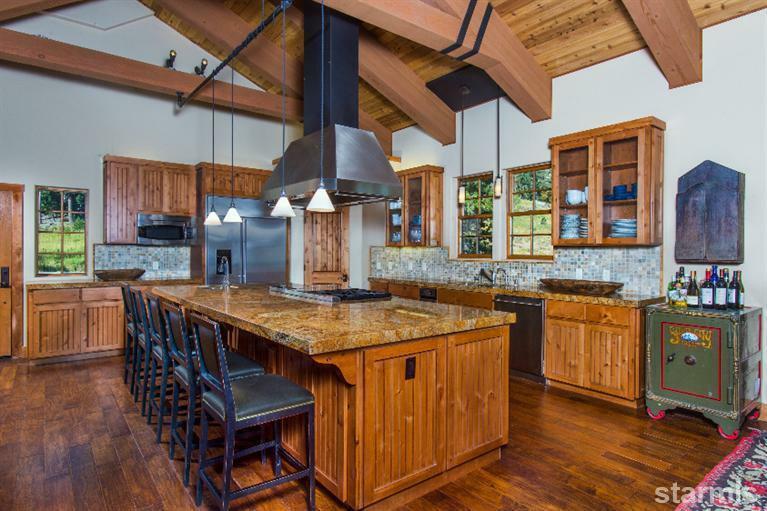 This large, luxurious mountain home was custom handcrafted, with high end finishes and designed to provide enjoyment, fun and relaxation. 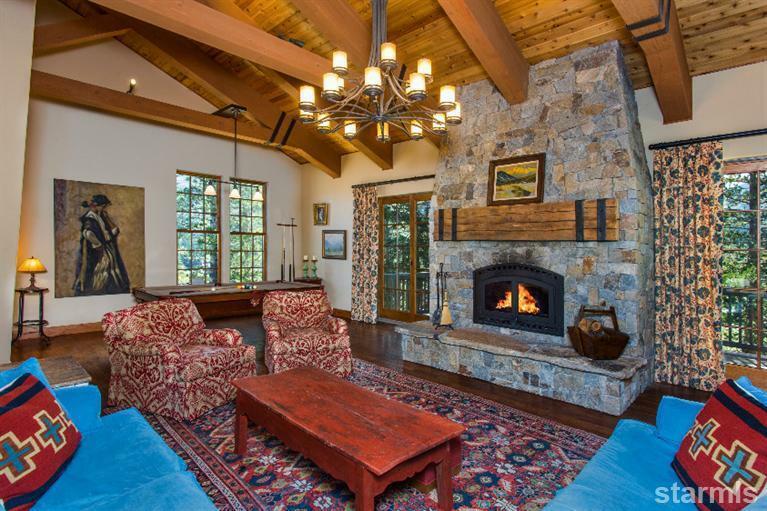 The spacious great room features vaulted ceilings with crossed heavy timber beams, a floor to ceiling rock fireplace with a rustic mantle, a gourmet kitchen with a large center island, a dining room with room to spare, a pool table and three outside decks it is perfect for entertaining. 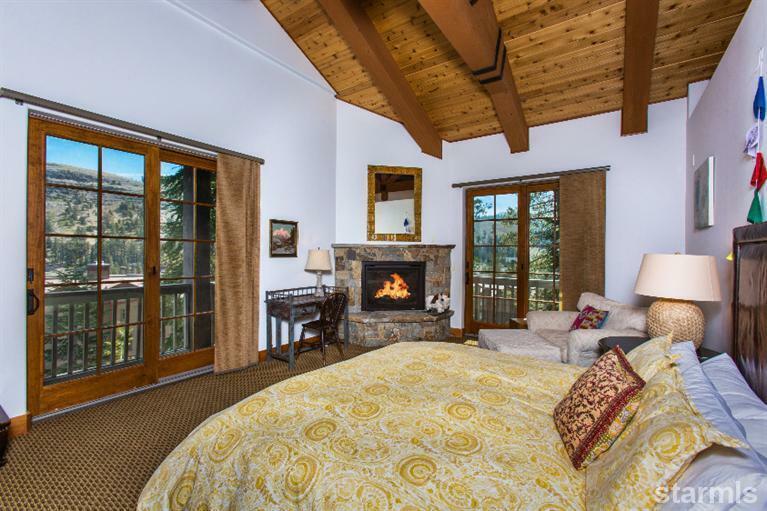 Wood floors, natural stone, granite and rustic yet elegant fixtures create a warm, elegant mountain ambiance.Sleeps 16. Preserved green belt across street for views and sledding.